The city of Warwick, Rhode Island, (population 82,672) is the second largest city in the state. Warwick is located on a peninsula in central Rhode Island, bounded by the Providence River, Greenwich Bay, and Narragansett Bay. The city was founded in 1642 when Samuel Gorton and a group of English settlers purchased the land from Miantonomi, a Narragansett chief. In the 18th century, the city had an important seaport at Pawtuxet, which was the site of the first armed colonial insurrection against the British. In 1772, a group of local settlers set fire to the HMS Gaspee, which had been stranded on a sand bar in the Providence River after giving chase to a packet sloop suspected of smuggling. When British officials attempted to send suspects to England for trial, colonists across America reacted by creating Committees of Correspondence, which led to the suggestion for the First Continental Congress. The Committees of Correspondence were instrumental in propounding a unified American identity above the 13 separate British colonies. In the 19th century, Warwick was an important industrial site, with several cotton mills, gristmills, and sawmills. Warwick also participated in shipbuilding and trade with local ports. A railroad connecting Warwick to Providence was completed in 1874. Industrial success transformed Warwick into one of the wealthiest cities in Rhode Island by the late 1800s, and the 39 miles of coastline in the city attracted many wealthy industrialists to build their summer homes in Warwick. Warwick remained a prominent summer spot until the Great Depression and the New England Hurricane of 1938. Warwick was incorporated as a city in 1931, and since that time has been home to the Theodore Francis Green State Airport (originally the Hillsgrove State Airport), the largest airport serving Rhode Island. 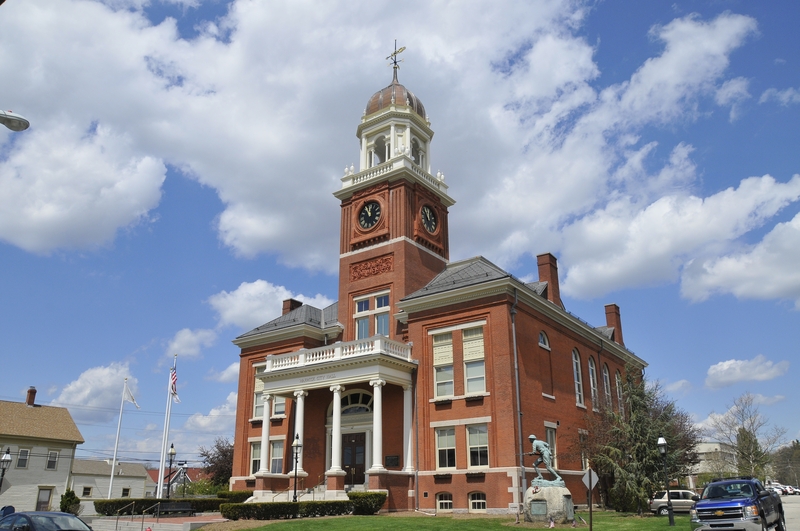 Today, Warwick has a strong preservation community and several properties listed on the National Register of Historic Places, including those contributing to the Pawtuxet Historic District. A survey begun in the 1970s inventoried historic resources in the city dating from the 17th century to the present, and the publicly available inventory continues to be updated. The city has several historical museums and house museums, including the Pawtuxet Rangers Armory and the Clouds Hill Victorian House Museum. Since 1965, Warwick has hosted Gaspee Days, an annual community commemoration of the burning of the British ship. The event attracts thousands of people to historical walking tours, an arts and crafts festival, a parade, historical reenactments, and a fireworks show.